Hey there friends! I am so happy that we all had the opportunity to spend such a wonderful weekend together at the reunion! What an amazing group of people and what a special special time! My only regret is that the reunion didn't last an extra day! It was such a blessing being with all of you and I feel like we will all be friends forever. I love you all! Some favorite memories - let's see... all the fun times with Jo Ellen, Melissa, Doodle, Steve C. & Rick H. with our four wheelin jeep rides & the fishin missions! I still can't believe some of the places a jeep will go!!! And, some of the best times ever - with my dear friend Gerald after school & probably during school as well when we took off in one of my fast trans ams.. with Gerald driving of course! Jennifer Davis updated her profile. View. Jennifer Davis has a birthday today. Jennifer Davis has a birthday today. New comment added. Jennifer Davis posted a message. New comment added. Hey guys - I'm thinking we need to plan a mini-reunion! I know we are all busy - but if we just pick some dates and a meeting place - we can make it work! Jennifer Davis added a photo to her profile gallery. New comment added. No place finer in Carolina than Cameron Indoor - even on a rainy, foggy, cold January evening. GO DUKE! And yes - we won! 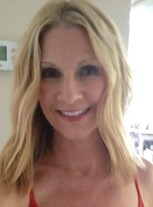 Jennifer Davis changed her profile picture. New comment added. 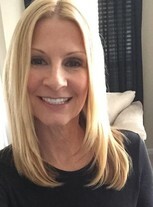 Jennifer Davis changed her "Now" picture. New comment added. Me & my niece Haley in front of the "Go to Hell Carolina" tent at Cameron Indoor after a great DUKE win Jan 19, 2009!